Fin *slaps fins* Noggin *knocks noggins* Duuuuuudddess. Welcome to the greatest hall in the history of Halls: Keenan Hall! 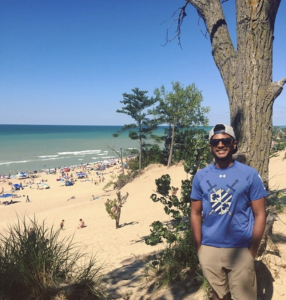 My name is Jacob Kalathoor, and I will be the Omega captain for your Welcome Weekend. I am a rising junior from Palm Beach, Florida (Go Heat, #PhinsUp) and I am a Biological Sciences major with a minor in Science, Technology, and Values. Some days, I wake up and I say I want to be a doctor. Other days, I wake up and decide I want to be a scientist. Most days, I wake up and tell myself I’m going to be a Rockstar. Pro-tip: Always be a Rockstar. I enjoy long walks on the beach, piña coladas, and getting caught in the rain. I’m used to 75-degree sunny weather year-round, so if I can handle the South Bend winter weather, don’t worry, so can you! Things I’m passionate about: the Miami Heat, the Miami Dolphins, Real Madrid, the Utah Jazz, Chick-fil-A sauce, campaigning against the usage of the term “first annual” (c’mon guys the word is inaugural), stripping (for the Keenan Revue), dank memes, and biology. Outside of the dorm, I can be found living in Galvin Life Sciences Building doing research on zebrafish, sitting on the quad anytime the sun decides to show up, wearing vertical stripes in an attempt to make myself look taller, and eating food at the superior dining establishment on campus: North Dining Hall. I am also one of the coordinators for Uplift, the vertical mentoring program for Biology majors. 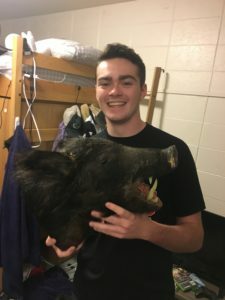 This year, I’ll be living in the 3West supersix with some other notable Keenan celebrities, such as the other captain Will “what is leg day” DeTrempe, Timmy “I love peanuts” Hseuh, Brett “My children will be mental brick walls” Katalinic, Tom “of no relation to the girl’s dorm” Walsh, and Dan “I am the Senate” Venetucci. Please stop by for some wholesome fun and peanut related foods. So, we hope you enjoy Welcome Weekend and your time here at Notre Dame half as much as we enjoyed putting it on for you. Cause we had a ball. There was an idea, Keenan knows this, called Welcome Weekend. The idea was to bring together a group of remarkable people, see if they could become something more. See if they could work together when we needed them to fight the battles we never could. (Please note-that was my quote first and The Avengers have a lawsuit the size of Jenkins Nanovic Hall coming for them). Well Knights, you are this idea. And you are about to be assembled. So, greetings, salutations, and welcome to the glorious castle of Keenan Hall. 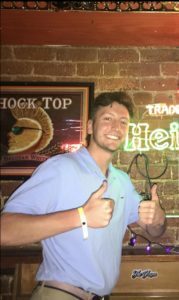 My name is Will DeTrempe, and I will be the Alpha Captain for your upcoming Welcome Weekend. I’m a rising junior from one of the lesser known Chicago Suburbs, the concrete jungle itself: South Bend, IN. Well, technically I’m not a card carrying townie member because my residence is really Granger (Home of the best SuperTarget this side of the St. Joe River), but I like to be a phony and pretend I’m from the streets of the 574. 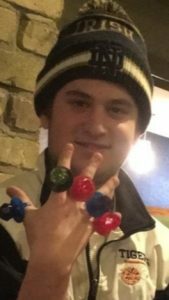 Aside from surviving life in the Big Bad Bend, I also play on the Club Golf team here at ND, participate in the Right to Life Club and Keenan Hall Council, and am the unquestioned campus leader in time spent in North Dining Hall. I also dabble in school in my spare time, majoring in Economics, with minors in Computing and Digital Technologies, and Theology. Outside of that, my hobbies include wearing hats as a full-time job, soliciting rides to Chick-fil-A almost daily, and expressing my devotion to the Utah Jazz religiously (Ya know, since I’m from Granger and all). I’ll be living in the 3W (The Mild Mild West) Supersix this year with my partner in crime and certified elephant owner, Jacob Kalathoor, among other distinguished residents. Come for Mario Super Strikers, stay because…well, we have Mario Superstrikers. Office hours are held full time and the door is always open, even when it’s closed. Pumped to meet our newest Knights and fight alongside you to defend Keenan’s throne as King of the North. Get ready for an epic year lads. There was an idea, Keenan knows this, called Welcome Weekend. The idea was to bring together a group of remarkable people, see if they could become something more. See if they could work together when we needed them to fight the Zahmbies we never could. (Please note-that was Will’s quote first and Keenan Hall has a lawsuit the size of Will’s quads coming for it). Well Knights, you are this idea. And you are about to be assembled. So, greetings, salutations, and welcome to the glorious castle of Keenan Hall. 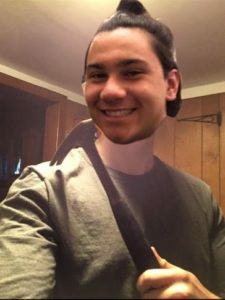 My name is Peter Jachim, and I will be the Alpha Ambassador (it’s a higher rank than captain) for your upcoming Welcome Weekend. I’m a rising sophomore from one of the lesser known planets, Earth. On Earth, I live in a land South of Bend. Technically I’m not a “real” townie because my residence is really Granger (Home of the best Martin’s Supermarket this side of the St. Joe River), but I like to say I’m from the streets of the 574 because Granger’s area code is also 574. 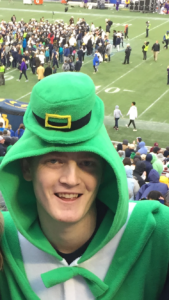 Aside from surviving life in the Big SB, as the kids say these days, I’m also in the Glee Club here at ND, participate in the Annual Isaac “Big Ragu” Bushue Look-a-like Contest and Knights of Columbus, and am the unquestioned campus leader in all things grilled cheese. I came here to play education, majoring in Civil Engineering and Theology. Outside of that, my hobbies include wearing bandanas as a full-time job until I got fired, soliciting rides to Whole Foods strictly for strawberries, and expressing my devotion to any Boston Sports religiously (Ya know, since I’m from Granger and all). I will be living in 3W next year, two doors down from the beloved Supersix and coveted 3W bathroom. Midnight pee runs have never been shorter. I’m are always down to hang out and pump some jams. Music, grilled cheese, phenomenal dome view. What more could you ask for? Don’t hesitate to stop by 346 for anything, especially a stapler. Everyone always seems to need a stapler. 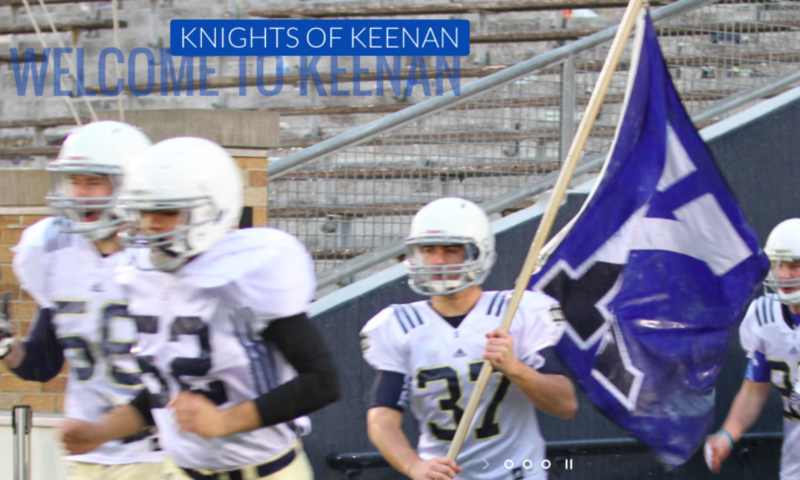 Pumped to meet our newest Knights and fight alongside you to defend Keenan’s throne as King of the North. Get ready for an epic year lads. 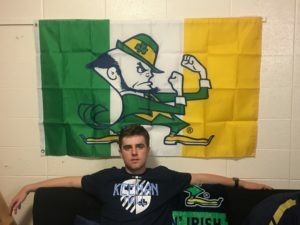 What’s up guys and congratulations on your acceptance to Notre Dame and being “randomly” assigned into the best dorm on campus, Keenan Hall. 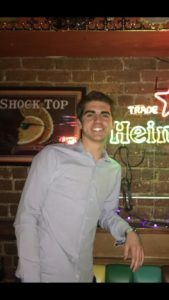 My name is Jack McConnell and I’m a rising sophomore from The Comeback City: Detroit, Michigan (I swear it’s actually getting better). 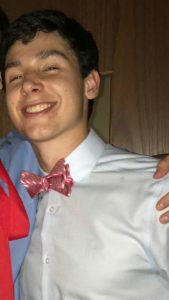 I am a Science-Business major and History minor, and widely considered Keenan’s favorite graduate of the illustrious Birmingham Brother Rice High School (Take that Alec “https://www.youtube.com/watch?v=vjZGKqciyjU, https://soundcloud.com/search?q=savior%20of%20the%20class%20of%2022” Emerson). 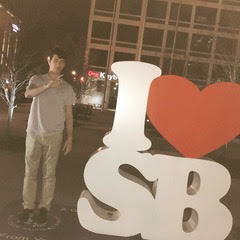 I love playing sports, in particular soccer, basketball and baseball. You can often find me at Stepan fields or at Moreau hoops modeling my game after pre-psycho Dennis Rodman. Due to my intense sports background I didn’t have much time for video games, but that did not prevent me from achieving the dopest 3 kill win in Fortnite history. You can call my mom if you don’t believe me, it actually happened. I’m also an avid sports fan and am a firm believer that Matt Stafford is the Second Coming. So if you ever want to talk about sports or anything else for that matter, feel free to hit me up. I will be living in arguably the best named Nip in the entire dorm “The Nip of Dreams,” aka 4 Nip, this year. I have 5 Menbroza majors living with me, so let me know how that is going to go. And despite what his bio may say, Ragan is not actually allowed in the 4 Nip common room, but all of you guys can stop by whenever you want. I look forward to meeting all of you and hope you have a great First Year here at the Dirty Dame. Hey! Congrats on your acceptance to Our Lady’s University! My name is Theodore “the 1W urinal has an ungodly amount of splashback” Carnes, but everyone whos anyone just calls me Teddy! I’m the pride of Scituate, Mass. It’s a blue collah fishing town right outside of the greatest city in the explored universe. That’s right, Bawston! I am most likely the toughest person alive. I went to Boston College High School (confusing, right? ), which is in Southie, which is where they shot Good Will Hunting with Matt Damon and Ben Affleck. How do you like dem apples? Anytime im not chilling hard in Keenan Hall, you can find me at Dunkies or eating at Smashburger 12 times a week, they actually know my name and order in there. I will dust you in NHL on the xbox and I will also blow by you in section football. Keenan Hall is the best dorm on campus. Check that, the world. Not only have I been able to meet some of the coolest guys ever, but I’ve also been able to branch out more than I ever could have imagined. I was the top performer on the B interhall basketball team, as well as the stud of my section’s curling team. Im studying business and theology so if you have any questions about either of those things, or just want to chat, come find me. I’ll be living with the supreme human being, Joey Tanaka, in a double in 4W next year and I can’t wait to meet all you guys. Hail Tom Brady and Welcome to Keenan Hall! Sup, bros! My name is Kieran O’Neill but I’m better known by one of my many street names, such as Floppy Benedict, the Notorious F.L.O.P., or The Flopster. I’m a chemical engineering major from mad deep in New York, where I’m known to the locals simply as “Mr. Benedict.” I’ve been told I look like Chuck Bass if Chuck Bass looked like Kieran O’Neill, which I use to my advantage. My favorite basketball player is Shaq and if I ever saw him in person, I’d probably kiss him and then fall over out of happiness. Another fun fact about me is I have the Irish Curse of getting sunburnt if I spend more than 5 minutes in the sun. I’m also super Irish, so if you’re ever finna tryna scheme some delicious blood pudding, feel free to stop by my family’s tailgate. This year I’ll be in the 3 North Super-Quad, which is about as nice as a hotel conference room with a great group of guys. If you’re ever tryna take an L in 2K or FIFA or play some Fortnite, pull up to 306, the doors always open. How y’all doin’, future Knights! You’ve been put into finest doggone dorm on campus, bless your heart. My name is Gabriel “Typical Florida Man” Brown and I’m a civil engineering major. I can 100% assure you that Keenan is completely tornado, hurricane, Zahmbie, and bomb resistant—just look at it! My home is the 2 Nip, Keenan Hall, Notre Dame, IN 46556, but on breaks, I occasionally visit my family in Tampa Bay. That’s right, I’m from the real Bay Area, home of my boyz the Buccaneers. I am also one of two hockey followers in Florida and the only Lightning fan in existence. Not gonna lie, I’m extraordinarily popular. I have a tendency to make headlines for all sorts of things. Remember when I was arrested for driving a lawn mower on a highway? How about when I failed to complete the canal jump stunt in my car? Assuredly, you’ve heard about that time I blasted off in my home-made rocket to prove that Earth is flat. Anyways, if you ever want to talk about irrelevant sports teams, play board games, or just talk, you are more than welcome to come visit 2 Nip. Our door is always open. Hey guys my name is Will Olafsson and I have diabetes. One thing you should know about me is that I have diabetes, so like I can’t have sugar (catch me in the gluten free section of the dining hall). I’m famous around campus for constantly having an MP3 player that is connected to my stomach. SIKE. Classic prank! It’s actually my insulin pump, cause, you know, I have diabetes and I can’t produce my own sugar, so my pump does it for me. I hail from the land of Iceland and often go by the name Thor because of my Icelandic roots. Thor, in Icelandic tradition is the God of thunderous diabetes. Because my diabetes won’t let me play real sports because it makes my bones too brittle for contact sports, I have to play chess (which I’m very good at). One way you can recognize me around campus is because I wear very tight t shirts to show off my diabetes, and I’m known for my turtleneck – just ask any girl who the turtleneck kid is. Anyway, back to my diabetes – type 3 if you were wondering. This year, I got really involved around campus by doing things like participating in SIBC, club chess, and boxing in the Bengal Bouts tournament, you know, to help me fight diabetes. This year, I’ll be in the 3 North Super Quad with a great group of guys. Our door is always open, so feel free to stop by whenever to hang out, chat, or even ask me about my diabetes. Without further ado, WELCOME TO KEENAN HALL! 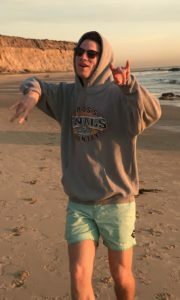 What up my dudes, my name is Sean McConville, I’m a rising sophomore from Irvine, California (affectionately known as “The Vine”), I’m majoring in Economics, and I enjoy long walks on the beach. I’ve introduced myself enough to know what you guys are thinking, so let me start off by saying this: yes, I’m from southern California, but no, I don’t surf and I thought lake effect snow was caused by St. Mary’s Lake (for those wondering, apparently it’s common knowledge that it’s caused by Lake Michigan). You’ll be able to spot me anywhere on campus because of my bright clothes and my wicked style. Now, you may have already read that Jack and Ragan each claim to have “victories” in Fortnite, but further inquiry into these controversies reveals that combined, these wins have a witness count of 0. My sports allegiances lie with any team from southern California (Angels > Dodgers) or from my birthplace, Cleveland (#brownsnation). For real though, if you ever have any questions about ND, Keenan or you just wanna show me up in Fortnite, stop by the 3 Nip (aka “Three the Nip”, let’s get the movement started), where I’ll be living next year. As long as your name isn’t Ragan Sernel, our door is always open. Ahhhh SUHHH Knights. 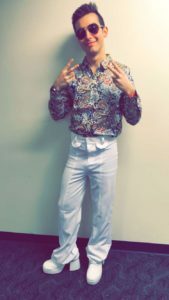 My name is Griffin Wilson and I’m wicked excited to welcome you into not only the best University in the world but the best dorm (its a fact). I’m from a town called Ipswich, which is just south of the New Hampshire border, but if you ask me I’ll probably lie and say I’m from Boston – even though I’m not I just wish I was. One thing you should know about me is that I don’t like to be teased, so if you can, please refrain. Especially don’t tease me about not actually being from Boston, because I will be deeply hurt. Some of the things I like to do around campus include dominating intersection sports, going to play pickup basketball at the Moreau Seminary every Wednesday night, and playing either football or spike ball on the quad. I’m a fierce competitor and don’t take well to losing. In addition, I spend a lot of time playing NBA2K, Fortnite, eating our world famous pizza from Za Land, going to Taco Bell at 3 am on weekends to get a crunch wrap supreme, and stressing about the work I didn’t do because I procrastinated all of it. One fun fact about me is that I have a hangry alter ego whose name is “Noodles” because, you know, they satisfy. Despite me not ACTUALLY being from Boston, I’m the biggest fan of the the Red Sox, Patriots, Celtics, and Bruins (please don’t tease me about the Super Bowl – I might cry). But in all seriousness I’ll be living up in the 4 West Super Six next year and I encourage all of you to drop by – our door will always be open. Whether you want to get smacked in NBA2K or just hang out and talk I want you all to feel free to come in whenever. I’m super excited to meet you guys this fall! 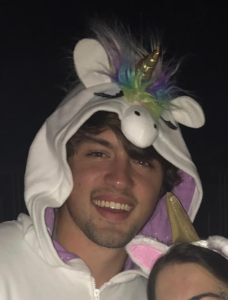 Hi y’all, I’m Kevin “Big Haus” Maus and I’m a double Accounting and Analytics Major in Menbroza (haha just kidding, I’m a Civil Engineer) hailing from the small town life of southeastern Wisconsin. I have spent the last 6 summers as a tour boat captain, and part time bartender, on one of the many 9,999 majestic lakes my great state. I’ll be living in 3W for the third year in a row (3 West for life bb). The Dos Equis’ Most Interesting Man has referred to me as the Most Average Man Alive. Hot Take: I wish Jimmy would get a dog. My favorite places on campus are the Compton Ice Rink and my corner booth at Waddick’s (yeah no). I was standout (read: bench hype guy) DT in high school and probably the best in all of Keenan; especially when it comes to section football. I’m involved with the American Society of Civil Engineers on campus, and my free time involves me watching sports, primarily watching the St. Louis Blues beat up on the Blackhawks (Dan why do you do this to me) and the Brewers beating the Cubs, while simultaneously annoying my friends with my dad jokes and ukulele playing. Welcome to the best dorm on campus! Hello future Knights, it is I, Sir John “Big Mac” McCarthy IV. I hail from the land of evergreens and mountains, Spokane, Washington. I, a rising Junior Keenan Knight, acquit myself in the pursuit of knowledge through degrees in Pre-Med and Theology. This year, I will be living in and protecting (my duty as Royalty) the 1 West section. If you must know about me, I love to nap. I mean I sleep all the time, like constantly. If you cannot find me I am probably at mass, which I attend almost daily. I bring honor to our great University by being involved with Campus Ministry and singing in the Folk Choir. I also adore cheese, so if you share this passion, please come and find me. Although royalty, I have no taste in music nor food. In fact, I would be perfectly content eating cereal for every meal. Additionally, I must sculpt the royal body and thus work out very often, trying to maintain my previous form as a gymnast to no avail. Anyways, I look forward to meeting all of you and welcoming you to the best dorm on campus, Keenan Hall! Hi friends, congratulations on your acceptance to Notre Dame and welcome to Keenan Hall! 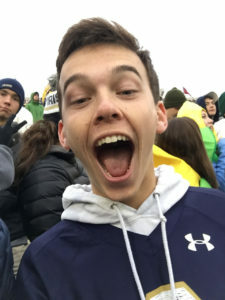 My name is Daniel Shaw, I am a sophomore from Pittsburgh, Pennsylvania (go lers) and I am definitely the person on this team who is least like the others. I am a premed with a double major in sociology, so I’m like your average premed but just a lot more woke. That being said, my only real goal in life is to meet Lady Gaga face-to-face. I love her, like a lot. My hobbies include singing and dancing, driving off-campus alone to eat lunch, and missing Keenan events because I have rehearsal. Contrary to popular belief, I am not a theatre major, but you would never know it because that’s all I ever seem to be doing. The only thing that is more packed than my rehearsal schedule is my closet. Also, I am left-handed and I am very passionate about lefties. If you are a lefty, please let me know and we’ll be friends. Feel free to stop by my room in 3W to talk, sample my endless selection of teas, bask in the glory of my wardrobe or have a conversation about social inequality. Welcome to the best dorm on campus! Let’s make your freshman year the greatest time of your life! What’s up bros? My name is Mike “Mike is short for Bicycle” Shannon. First off, give yourselves a pat on the back, because you’ve not only gained admission into one of the most selective universities in the country, but have also been placed into the objectively best men’s dorm on campus, Keenan Hall. I am from the dirty ‘Burgh, Pittsburgh Pennsylvania, but my real home, however, is the Hesburgh library, where I spend roughly 90% of my waking hours, with the remaining 10% being spent in the back booths in North Dining Hall. One of my most noticeable features is the small scar on my chin, if it intrigues you as much as it intrigues me come ask me about it. I will be residing in 1W this year, in a double with my good buddy Alex Bakeis. If you have any questions about Bengal Bouts, how to cope with the mountains of work you have, or what floor of Hes to study on (9th), or just want to chill and watch the Les Mis movie (except the scenes with Russell Crowe), please don’t hesitate to stop by my room. Oh, and if you and your roommate ever get into a disagreement, just settle it like I did, with a game of 1v1 on the Keenan basketball court. YOOOOOOOO!!!! 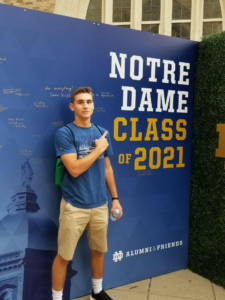 Whats up, I am Liam “Smixon” Nixon, and LET ME BE THE FIRST TO WELCOME YOU TO KEENAN HALL AND NOTRE DAME. I come from Bay Shore, Strong Island, New York. The state so nice they named it twice. I attended the pinnacle of academia, Chaminade High School. I don’t know man, it was a blast. Many know me as the “walking twitter feed”, but you have to call me Liam the “walking twitter feed”. My favorite saying is “Yo Alexa play Gods Plan, volume 10.” Fun fact about me: I root for the worst sports teams in existence. My Jets, Knicks, and Mets are an actual dumpster fire. Some of my interests include being upset about how bad my sports teams are, being excited for high draft picks (#tank), and uttering the phrase “sneaky athletic” at every section sporting event. I am studying ACMS, or ACMS and Econ. Or maybe just Econ. I don’t know man, Bio is pretty cool too. On a separate note, I am incredibly indecisive. Technically, I will be living in a double in 1W with my boy DK Kim, but I will be spending all of my time in my section’s study room dishing out piping hot takes for all within earshot. If you ever want to come and talk about sports, life at ND, or how great Chaminade is, please do not hesitate. Welcome to Keenan! Hello future Knights! Congrats on your acceptance to Notre Dame and welcome to the best dorm on campus. 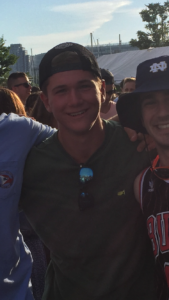 My name is Brett Katalinic and I am a rising junior accounting and economics major from Orland Park, IL. I am very excited to get to meet you all and be involved in your welcome weekend. I will be living in the 3 west super six (also known as the cuffed six) next year with captains Jacob and Will, along with some other cool guys and Timmy Hsueh. Our door will always be open, so please make sure to stop by and introduce yourselves. I can’t offer much, but if you want to hear about how I was unable to eat that entire pizza or how I can no longer eat french fries after failing to run a mile in 6:30 I’m your guy. Additionally, the 37th season of Survivor will be playing in our room on Wednesday nights in the fall, so make your schedule accordingly. I am going to be the treasurer for the club golf team at ND next year, so if you would like to know more about that or just play golf with me let me know and I would be happy to do so. During the school year, I enjoy playing golf (obviously), supporting Keenan Hall intramural teams (I can’t make any of them), rooting for my terrible sports teams (White Sox, Bears, ND Football), and beating Timmy Hsueh at Mario Super Strikers (Or anything else). Beast! 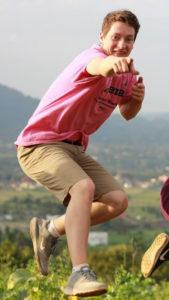 How’s it going everybody; first of all, congratulations to everyone on your admission to Notre Dame, and even bigger congratulations on your entrance into the Keenan Hall brotherhood., The name is Alec Emerson, also known as PB, also known as Yung Dark Eyes, also known as Cadillac Joe. 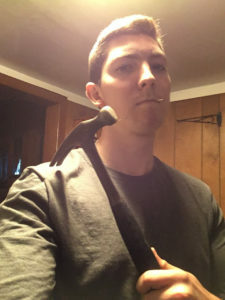 I’m a sophomore Finance major from Detroit, Michigan living in the 1West forced 6-man; the door is always open if you want to slide by for some Call of Duty, which I take very seriously. 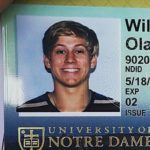 You might already know me as the guy who put a video of myself saying “Please let me into Notre Dame” 1,000 times on YouTube. (If you haven’t, that’s okay: it’s available right here for your viewing in Jack’s Bio.) 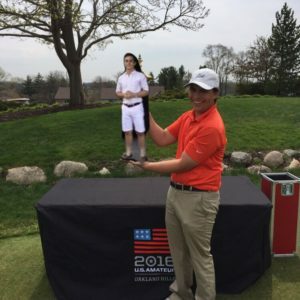 When I’m not studying, my hobbies include golf, perusing deep-fried memes, self-deprecating my lack of work as a business major, and, oh, did I mention golf? When you see me around, feel free to come up, lock elbows, and exchange a brotherly “Beast!” If you ever feel the need for a smoker-lady impression, want tips on how to take of few strokes off your golf score, or want to hear my timeless “Cadillac Joe” story, I’m your guy. Can’t wait to see you all around the best guy’s dorm on campus. So there I was, minding my own business…” Hey guys I’m Billy McKee and whenever I tell a story it always starts with that quote – so if you never hear me say that you probably don’t know me, as I’m an avid storyteller. However, that’s almost impossible because everyone inside and outside of the dorm knows me. I’m from God’s country, aka New Jersey, and I’m a proud graduate of Bergen Catholic High School (screw Don Bosco baby). The girls around campus know me as a smooth, hilarious Jersey boy with charming good looks, but my brothers at Keenan know me as the high energy, fun kid who is always up to do something cool with the boys. 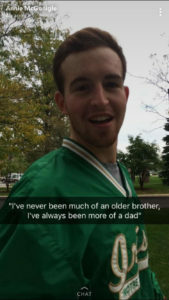 At Notre Dame, when I’m not “minding my own business,” you can usually find me chilling with my boys either playing the earliest edition for NCAA football on my xbox, making sure all my homework gets done in the library, or goofing around and doing the Charlie Brown dance up and down the dorm hallways. Also, if any of you are especially “woke” like myself, and understand the fact that Stevie Wonder isn’t actually blind, come find me, we need to chat. One of my favorite routines here on campus is wearing the EXACT same Notre Dame polo to every single home football game and doing an Irish jig every time I see the Notre Dame Leprechaun or hear someone playing the bagpipes. I’m also really involved with Keenan interhall lacrosse, Club Lacrosse (“clax”), and our signature event The Keenan Revue where I played lime bike Jeff – so if you’re ever interested in any of those I’m your guy. This year I’ll be living with a great group of guys in the 4 Nip so feel free to stop by at any time – my door will always be open (except don’t come after 9:30 because that’s usually about when I go to bed on school nights). Anyway, Keenan is a great place and you are all very lucky to have been put in the best dorm on campus. Welcome home knights! Yooooo! What’s up guys! Welcome to the Keenan Brotherhood! 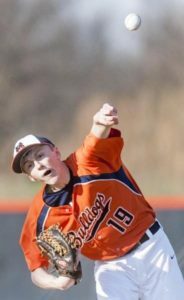 My name is Matt Kirchmier and I’ll be living in the 4 West Super Six this year. I’m from Fort Lauderdale, Florida, but if you ask me I’ll probably tell you I’m from Miami instead. Both of my parents went to Notre Dame, so I’ve always had the Irish in my blood. I’m majoring in Anthropology as a pre-med student, which doesn’t sound very difficult, but I’m basically always in the library doing work. In my freetime, I say I play Club Lacrosse, but really I just go to an occasional practice and then skip all the tournaments to do homework. I also play for the interhall Keenan lacrosse team, so basically I’m your guy for all things lacrosse in the dorm (I also am always down for some catch on the quad). I play a lot of Fortnite as well, so if you ever want to play stop by the common room if you hear me yelling “no way bro!” or “sit down my guy!”. I’m also really into my hair, so if your blow dryer ever breaks or you run out of hair gel feel free to borrow mine. All of us on the fourth floor are super excited to welcome you guys into our community here in Keenan, so please feel free to come by our room’s anytime. Go Irish! What’s up y’all. I’m Ragan Sernel, and I’m proud to be from Memphis, Tennessee. I’m enrolled in the Mendoza College of Arts and Letters as an American Studies major. Yes, that’s a real major. No, I can’t really tell you what it means. Next year, I’ll be living in 446 but I won’t be around much as I desperately seek to be accepted by the residents of 3Nip and 4Nip. My friends might tell you that I’m bad at Fortnite, but, you can ask my brother, I won a game over Easter Break (That’s one more win than Sean McConville has). I’m an active member on the Club Soccer Team of Notre Dame, where I serve as the third-string goalie. If you’re a good goalie, please don’t try out for the team because I’m really scared I’m going to lose my spot. I also love to play basketball, but if you’re playing against me don’t drive down the lane because I will draw a charge playing pick-up basketball. I also love to play chess, so hit me up if you ever want to play a game or learn how to play. I’m really excited to meet you guys, and you’re always welcome to come hang out in 3Nip or 4Nip (just say you know Ragan). Finally, I highly encourage you to sing a Miley Cyrus song at P-Dub Karaoke.